As a lounger, a seat for company or a stunning accent chair, the Natalie Chair by Precedent is lovely contemporary chic. 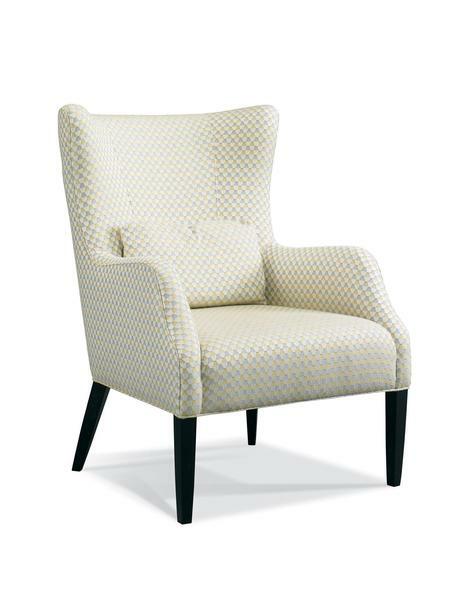 Resembling a wing back that folds you into comfort, Natalie has high armrests and lengthy cone-shaped legs. Natalie comes with one toss pillow and can be dressed in a variety of custom fabrics to best fit your decor. We've captured the essence of Precedent comfort and quality design in this video shot in the DutchCrafters store. Precedent has been crafting fine furniture for over thirty years, with an eye for creating sensational styles without sacrificing comfort. Precedent uses certified lumber and recycled steel, creating an eco friendly vibe for their living room furniture. They guarantee their frames for life and cushions for two years. Precedent furniture is American made and built in North Carolina. We thank you for shopping with DutchCrafters.